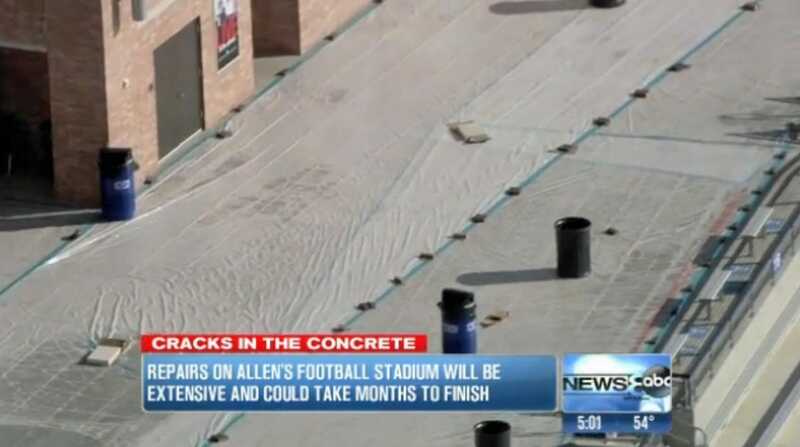 Eagle Stadium, the $60 million high school football field in Allen, Texas that opened 18 months ago, is closing indefinitely due to structural concerns. 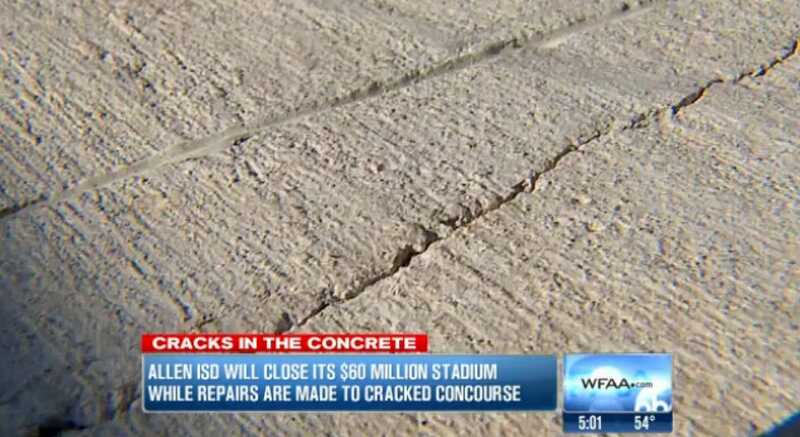 There are cracks in the stadium’s concourse that have gotten worse since they were first discovered in August 2012, according to the Dallas Morning News. The stadium holds 18,000 people and features a jumbotron, and was built with public funds in a bond deal. WFAA reports that it will remain closed until at least June. 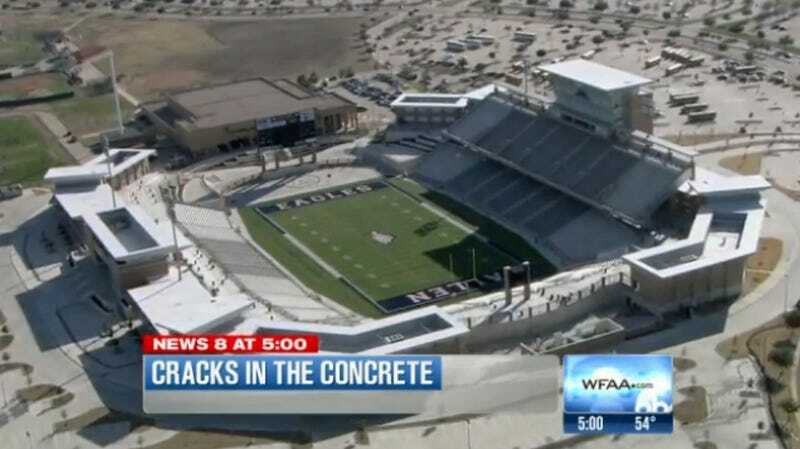 The firm that built the stadium, Pogue Construction, says it’s working on a solution.